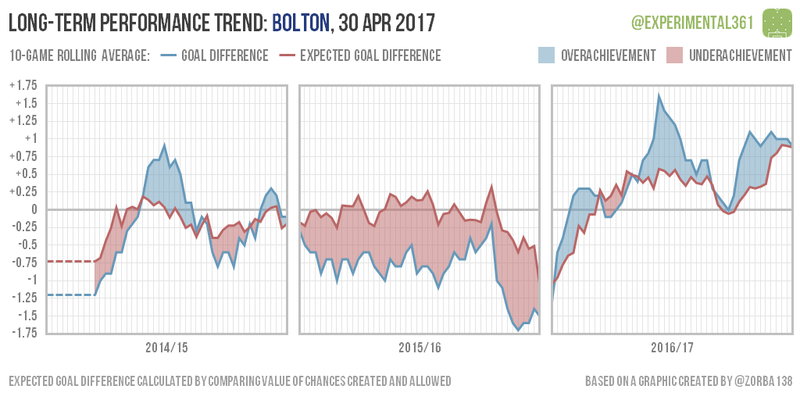 After a dip in performances in early 2017, Bolton rallied to finish strongly. 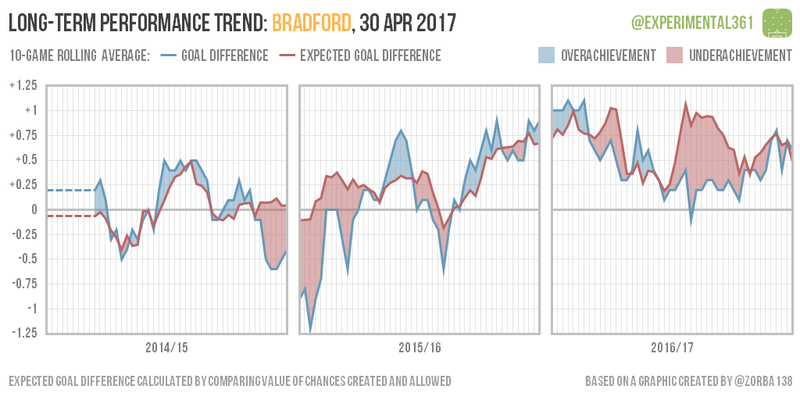 Bradford have looked strong for a while but an unlucky-looking spell in mid-season probably cost them a top two finish. 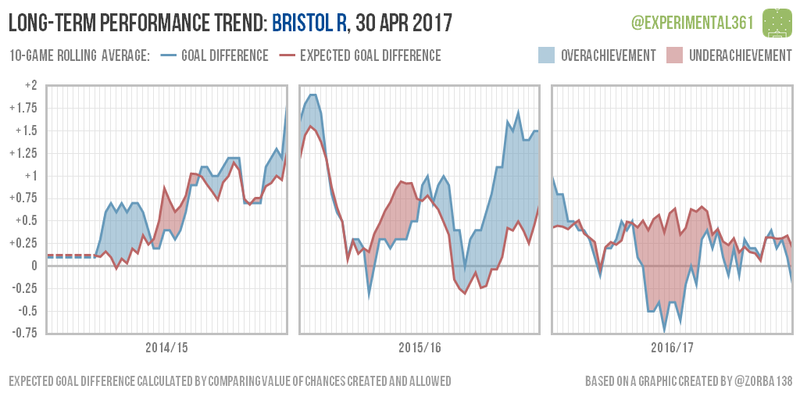 Another club to have suffered for an unlucky mid-season spell, Rovers have nonetheless looked like a top half side throughout. 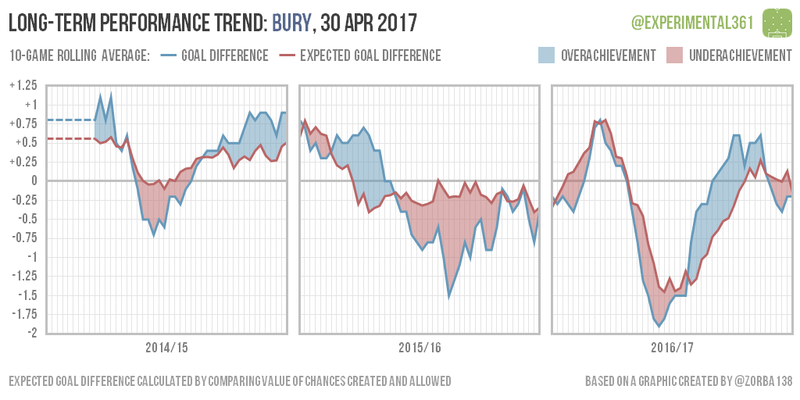 Bury’s performances dropped off a cliff after a promising start, but recovered just as sharply to keep them clear of danger. 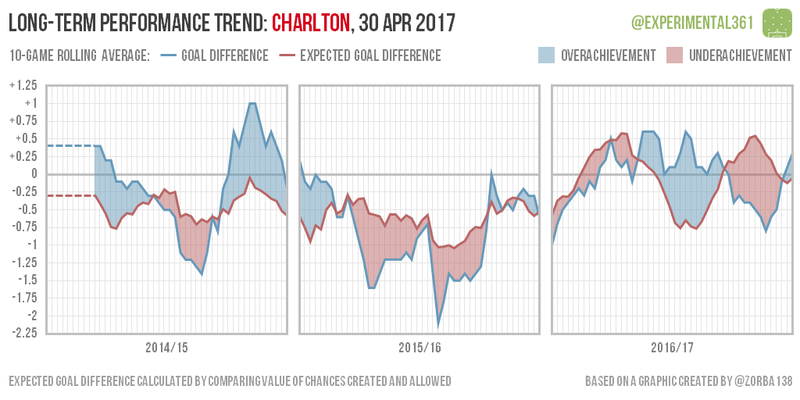 A mixed season for Charlton saw them chug along at a mid-table level overall. 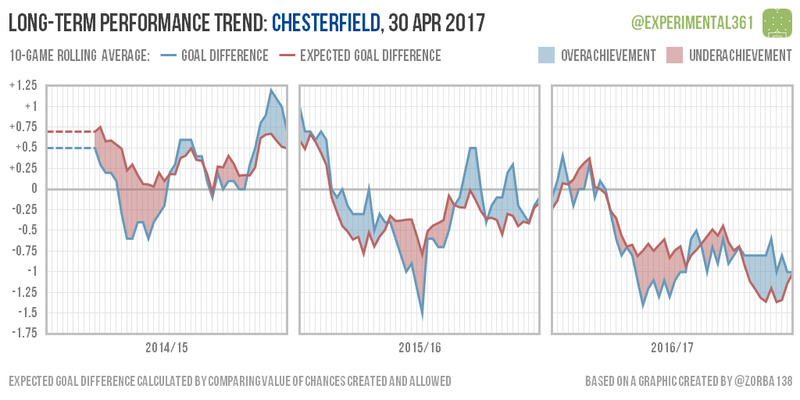 A bright start didn’t last and the Spireites unfortunately looked consistently relegation-threatened for most of the season. 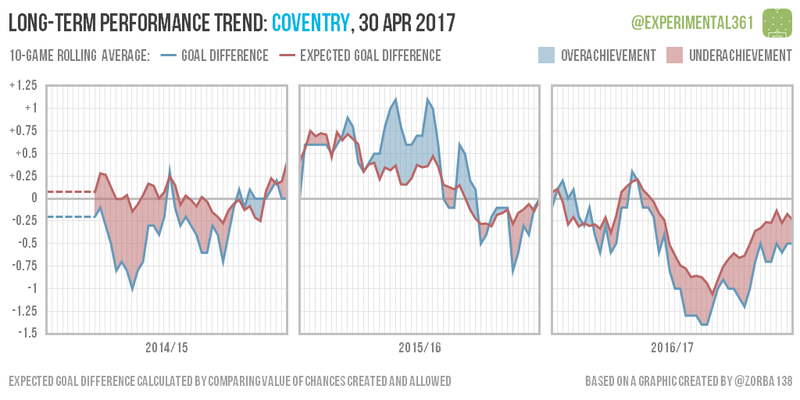 If only Coventry’s impressive rebound in the past few months had been triggered a little earlier then they might have remained a League 1 side next season. 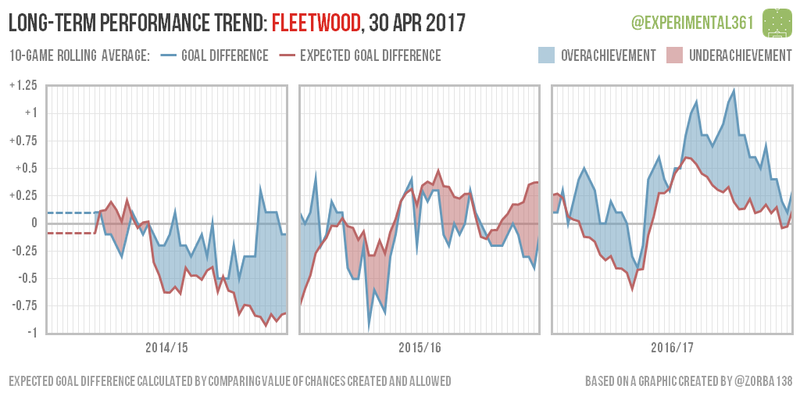 Fleetwood have had an impressive season, with their poor start ultimately costing them a top two finish. However performances have ebbed of late and they may have enjoyed a slice of good luck overall. 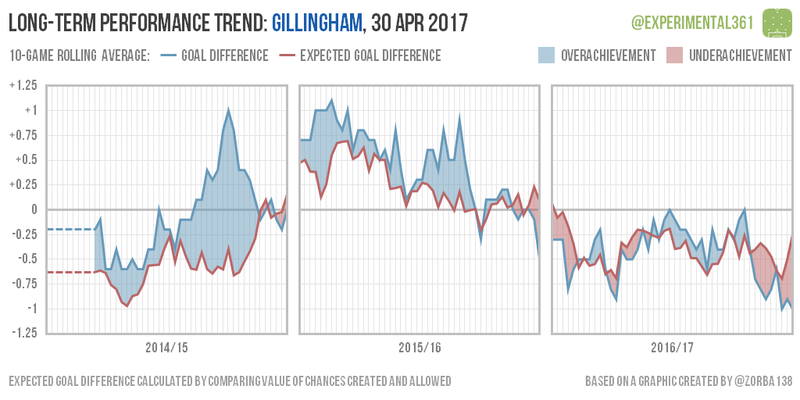 It’s not been a great season for the Gills, with performances consistently below average continuing their decline from last season. 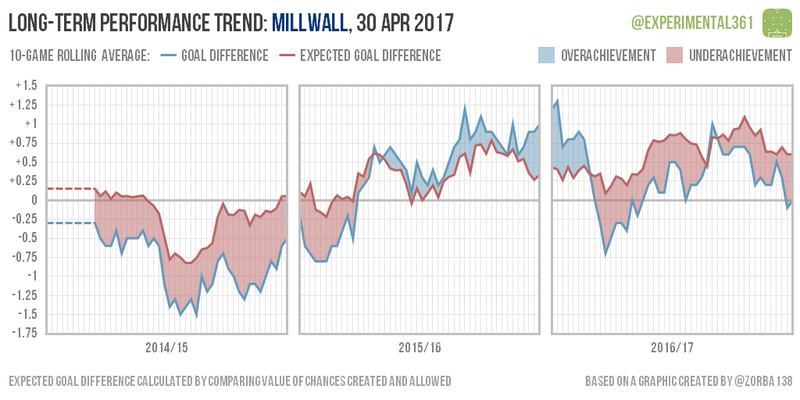 Millwall have looked consistently strong for a while but have been plagued by underachievement and a shaky start almost cost them a top six finish. 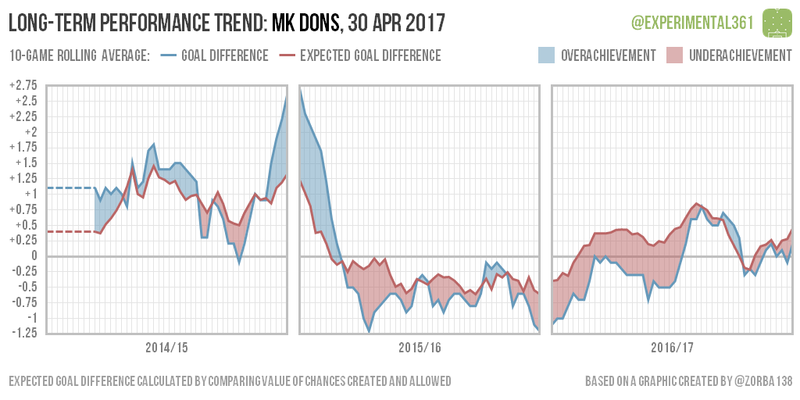 MK Dons have looked better than their league position for much of the season, although they suffered a blip towards the end of the campaign. 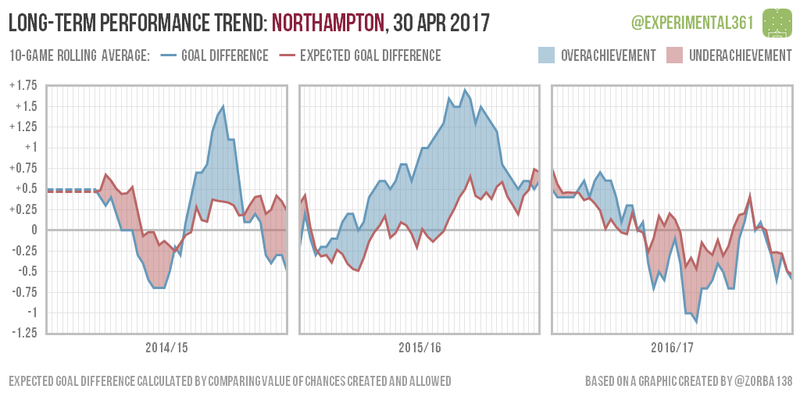 A solid return to League 1 has been marred by a gradual decline in performances overall. 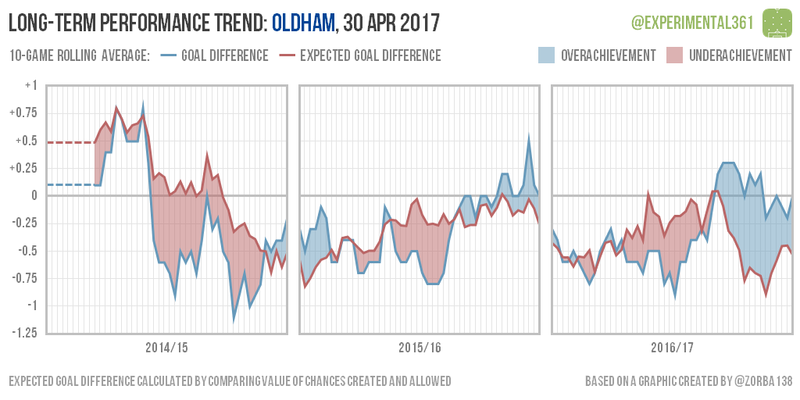 Momentum looks to have carried Oldham over the line: a gradual improvement in performances suddenly fell away but results remained steady enough to see them over the line. 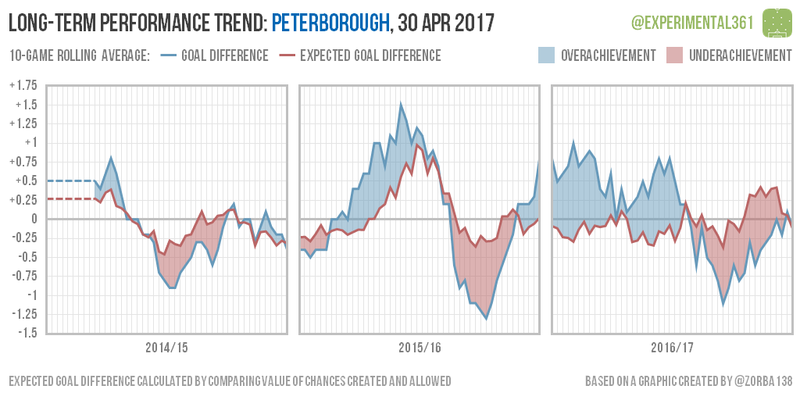 It’s been a pretty “mid-table” season overall for the Posh, who ran hot to begin with and suffered some bad luck towards the end, but things look to have balanced out overall. 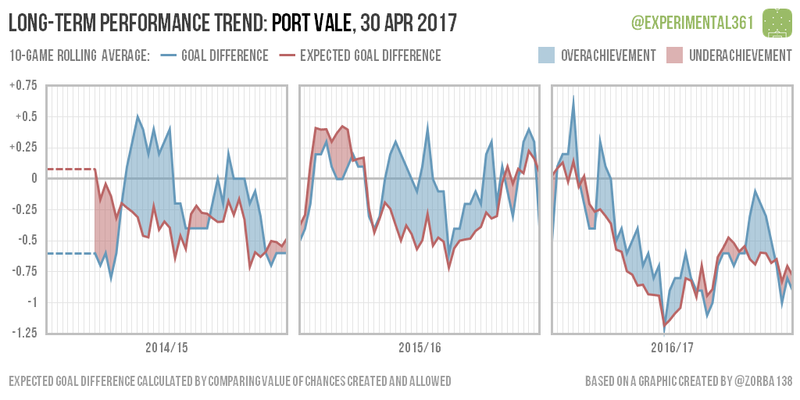 The warning signs were there from the start this season, with Vale’s performances crashing and never recovering. 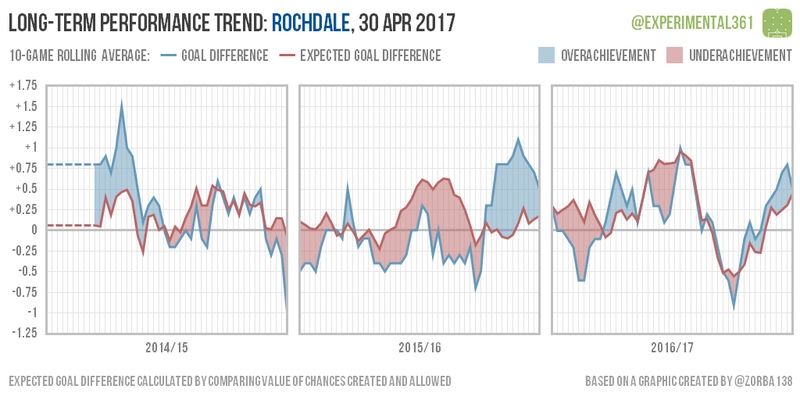 A solid season overall for Rochdale saw performances drop off a cliff in the New Year only to gradually recover just too slowly to claim a play-off place. 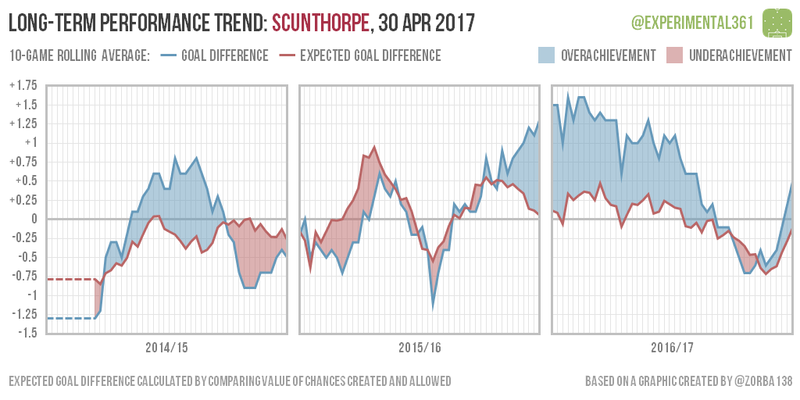 That huge blue patch is the effect of Scunthorpe’s impressive finishing this season, which has turned some pretty average performances into a promotion challenge. 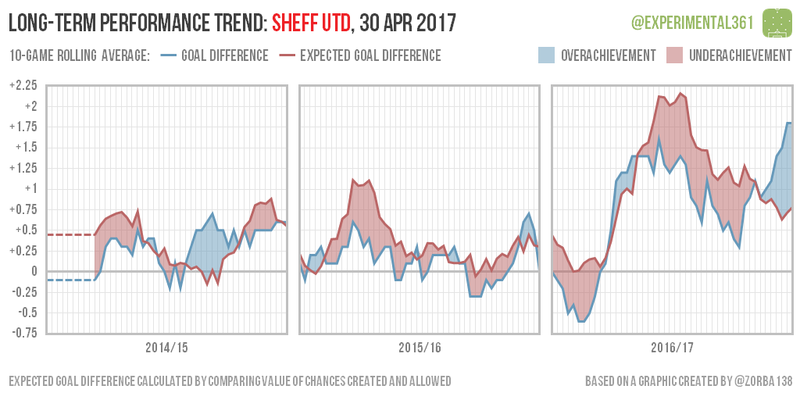 Their luck looks to have run out a few months ago but a recent upturn could have arrived just in time for the play-offs. The champions started slowly but once they found their rhythm they’ve looked consistently dominant. 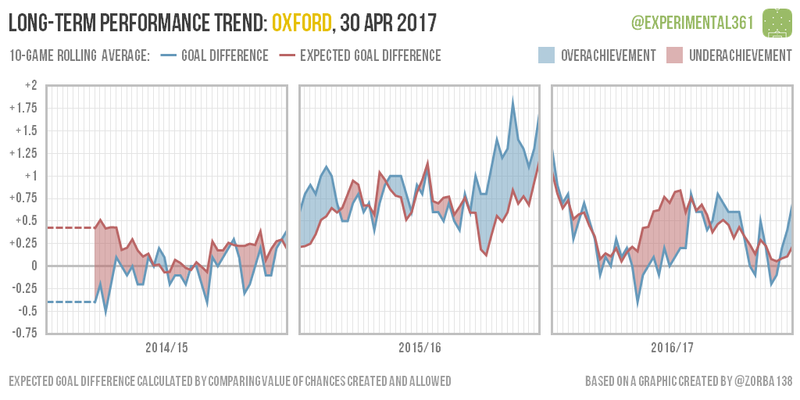 A little bit of good luck – itself overdue – looks to have nudged them to the 100 point mark as they cooled slightly during the run-in. 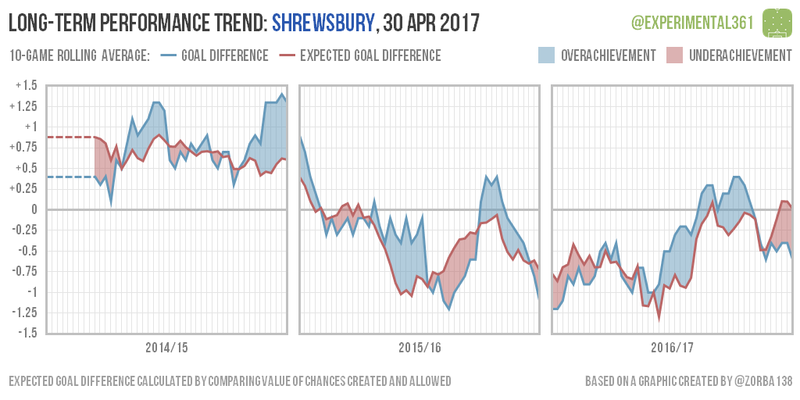 Paul Hurst has made a huge difference to the Shrews’ performances, which were abject in the first half of the season but pretty respectable in the second. 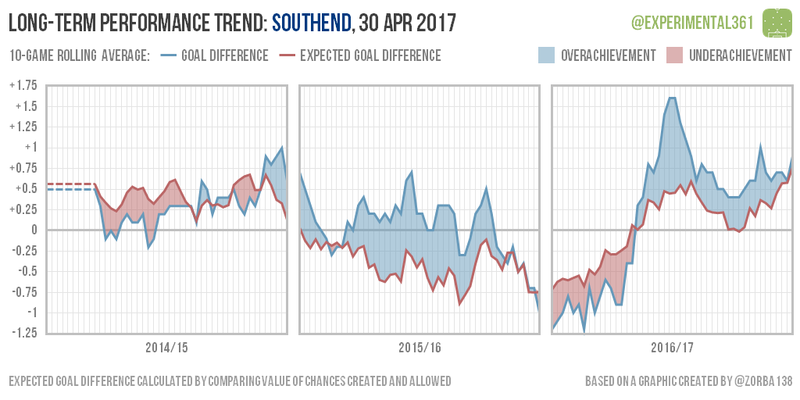 It’s been a season of almost continuous improvement for Southend after a poor previous campaign, and their luck looks to have more or less evened out overall. 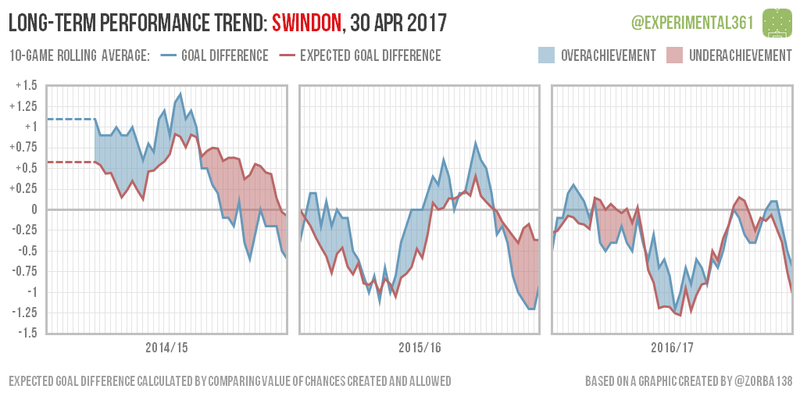 Swindon started to look troubled about a third of the way into the season but performances did seem to be improving until a month or so ago. 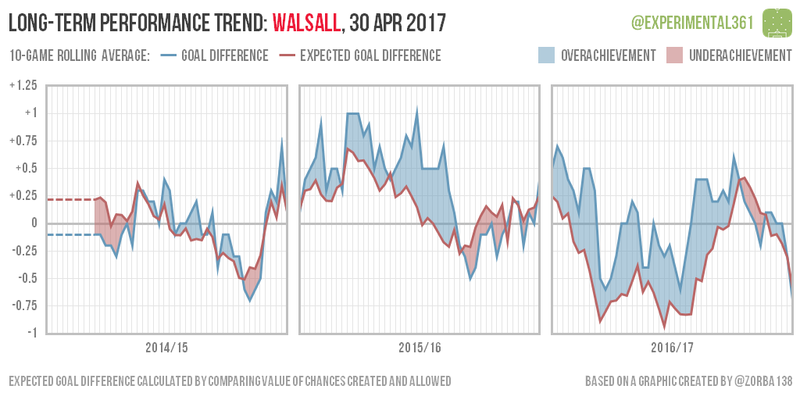 Walsall went into the Christmas period in pretty poor shape but have looked a lot healthier since then, although may have finished a shade lower with some worse luck. 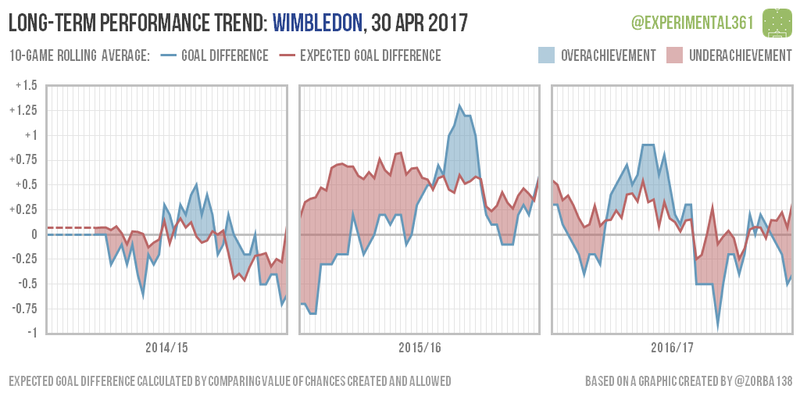 It’s been a solid debut season at this level for Wimbledon, who have looked more “top half” than “bottom half” overall.